The ground is thawing and soon it’ll be time to start working the soil again. Whether you’re a long-time gardener or brand new to growing your own food, the Vancouver Neighbourhood Food Networks have got you covered this spring. Join an upcoming workshop to learn skills on early spring planting, growing Japanese vegetables, making the most of patios or small garden spaces, how to manage pests, and more. There are also opportunities across the city to learn new skills, meet other gardeners, and volunteer in your community. Join Riley Park gardeners to prepare the orchard area and for an Early Spring Planting workshop led by Chris Billion of One Love Farm (starts at 1pm). Gardeners will be planting the bed for the new residents of the Modular Housing unit at 37th/ Main. This will be the first of three seed planting workshops this year with Chris to demonstrate year-round tips to grow vegetables. For more info contact info@rileyparkgarden.org. Join West End Neighbourhood Food Network and Village Vancouver at their monthly family friendly gatherings. Bring something yummy, share some good food and conversation with neighbours. Each month they present a mini-workshop on a different food and/or gardening related topic. The topic for March is amendments and fertilizers for patio and balcony gardeners. The featured activity at this March meeting will be making seed packets. Organized by West End Neighbourhood Food Network, a group which shares information, organizes food and gardening workshops, saves and distributes seed, explores possibilities for creating more gardening spaces in the West End, and engages in other food and gardening related activities. Community garden organizers and members from across Vancouver are invited to get together, share experiences and learn from one other. Join Riley Park Community Garden and Vancouver Parks Board (VPB) to share successes on how to engage community, what is working in your garden, common challenges, and how to work together. Reserve your spot here. For more info, contact Joanne at joanne_mackinnon@lmnhs.bc.ca. Join us for our first seed swap of the year to trade or purchase new seeds and get your garden ready for the spring season! We will accept cash or swaps of seeds from your own garden in exchange for seeds from our collection. Find Renfrew-Collingwood Food Security Institute in the main entrance lobby of Collingwood Neighbourhood House. The sun’s out and temperatures are warming up, which means the growing season is just around the corner! Interested in getting involved in the gardens at Gordon Neighbourhood House this spring and summer? Come learn about our garden programs at this garden volunteer meeting. Save money, and grow a wider variety of garden veggies by starting your own seedlings! This workshop will go over everything you need to know to start your own vegetable seedlings: From what soil to use, to moisture and light requirements, to troubleshooting, and building your own DIY seedling setup. Get your garden going with seeds for vegetables, herbs, and more. Browse the Grandview Woodland Community Seed Library collection, borrow seeds, and check out the library’s resources on seed saving and gardening. Explore their seasonal goodies and discover new seed varieties! Pick up kale, tomato, and other seeds to start this month and next. Village Vancouver presents this workshop covering the basics of planning, preparing and starting a food garden. You’ll learn some simple techniques from Rhiannon Johnson for starting plants indoors and in the garden. Be rewarded with the taste of freshly grown veggies this season! Start the gardening season by growing these early spring Japanese vegetables. Easy to grow, nutritionally dense, yet not readily available, make the most of your garden by growing these wonderful veggies. This hands-on Westside Neighbourhood Food Network workshop led by Tonari Gumi Garden Club will focus on five early spring vegetables. Participants will be offered additional seeds and plant starts, along with a sampling of these vegetables in delicious, yet simple Japanese dishes. As anyone who’s ever gardened before knows, pests can sometimes be a real problem in the garden (and can be particularly discourging if you’re a new gardener). This Village Vancouver/West End Neighbourhood Food Network Urban Garden Club workshop will be led by Karen Ageson from Farmers on 57th. Participants will learn various ecologically sound techniques for minimizing damage and disappointment caused by pests in your garden. Come together with Hastings-Sunrise gardeners Lauren and Shayna to work in the veggie garden and make pizza with the harvested ingredients. Enjoy healthy snacks created from the abundance of our community garden while chatting about healthy cooking, eating, and gardening. Register online or by calling (604) 718-6222, reference activity #204668. Learn how and when to plant, grow, harvest, and store potatoes in this Village Vancouver workshop with Rhiannon Johnson. We’ll discuss the best varieties for our area, preparation for planting, feeding, preventing problems, and much more for growing tasty potatoes! Each participant will take potato ‘seed’ home with them. Come experience the joy of growing your favourite vegetables under the guidance of professional gardeners and educators, Karen Ageson and Jess Henry. The learning will be hands-on: you will plan, plant and tend your own garden plot, with instruction and support throughout the growing season. Along the way, you’ll learn about garden planning, soil health, seed starting, transplanting, weeding, watering and organic pest control. $300 for 12 instructional sessions, supplies and use of a garden plot approx. 4’ x 8.′ We encourage you to garden with your family—registration cost is per plot, not per person. All supplies are included (except gardening gloves) and the food you grow is yours to enjoy. Register online to reserve your spot in the course. If you have any questions or concerns, contact karen@farmerson57th.ca or 778-997-3609. Come learn how to grow and cook delicious Japanese vegetables. In this hands-on workshop, Makiko from Tonari Gumi will show us how to grow and cook simple recipes featuring five popular Japanese vegetables and herbs. Free to attend. Register online. For more info, contact foodseries@gordonhouse.org or call 604-683-2554. Always wanted to learn how to grow your food but don’t know where to start? Have you tried but been met with frustration? This beginners-level gardening workshop will go over all the basics you need to know to start growing your own vegetables: Soil health basics, planting (from seed and transplanting), watering, fertility, harvesting, plant health, and troubleshooting. Learn about the most common vegetable plant families and what they need to thrive! Free or by donation. RSVP to foodsecurity@cnh.bc.ca to reserve your spot. For more information, call 604 435 0323. Get your garden going with seeds to grow vegetables, herbs, and more with a collection of seasonal goodies and new varieties! At this Grandview Woodland Community Seed Library event, sign up as a seed library member, browse the collection, and borrow seeds. Pick up bean, cucumber, and other seeds to start this and next month. Seed quantities limited; please RSVP to gwcseedlibrary@gmail.com or through the Facebook event. Britannia Community Centre, meet in the school garden at the far west end of the parking lot and skateboard courts. Lori Snyder is an Indigenous Herbalist, educator, storyteller, artist and Mother. Lori hosts workshops teaching about our living world, how to access its wisdom and to remember our stewardship. Come out and discover how to identify, when best to harvest & sample products in this interactive workshop. Meet in the Britannia school garden, far west end of the parking lot and skateboard courts. Cost is $25. Register by calling 604-718-5800. Explore the exciting world of the Apothecary Garden and learn about the many herbs and their power to cure, legends and fairy tales to discover; the science of remedies preparation, and administration routes. Participants will have an opportunity to taste herbal teas and make a take-home remedy with medicinal and cosmetic properties to heal minor skin wounds, cuts and burns, sunburn, red and inflamed skin, and dry winter skin! Cost is $20. Register online or by calling 604-718-5800. Learn some rudimentary soil biology and the importance of feeding your soil in building a healthy garden with Karen Ageson from Farmers on 57th. You’ll walk away with some basic techniques, and the know how to help your garden thrive. $13. Register online or by calling (604) 257-8333, reference activity #213177. Join the Vancouver Neighbourhood Food Networks for these upcoming fun and educational workshops and events including Grow Your Own Microgreens workshop, Thin Crust Pizza workshop, and the Renfrew-Collingwood Food Security Institute Town Hall. Micro greens are tasty and nutritious greens that can be eaten as a fresh snack or added to salad, smoothies, soups, and more. In this Village Vancouver workshop, you’ll learn how to grow your own trays of micro-greens at home, year-round. For more info on Strathcona Food Programs, contact 604-713-1838 or email info@strathconacc.ca. Learn to make thin crust pizza with your favourite ingredients. Free to attend. Register online or in-person with registration #205646. For more info on Hastings Sunrise Community Food Network programs, visit Hastings Seasons of Food Facebook page. Renfrew-Collingwood Food Security Institute is hosting a big community meeting and you’re invited! This is a chance to meet and talk about ideas for 2019. What kind of food events, workshops, and projects do you think should happen in the future? Come gather and talk about it! 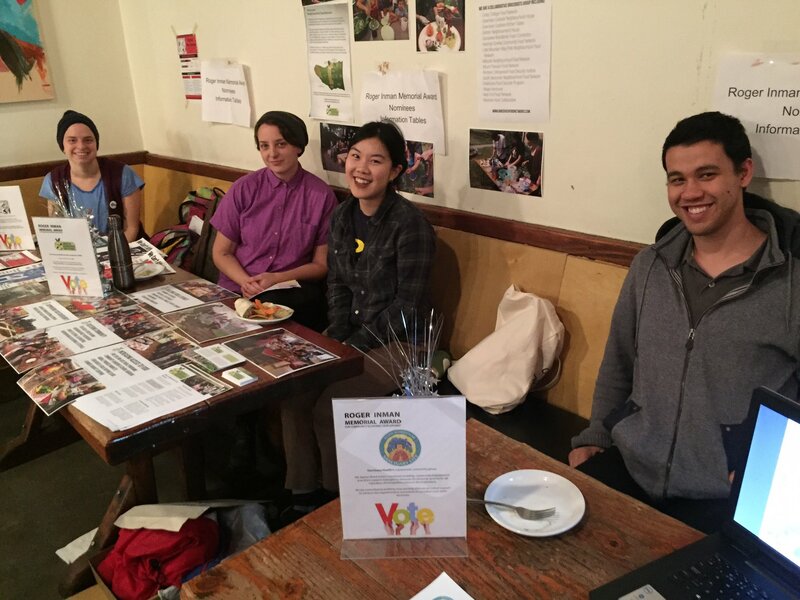 For the latest updates from the Vancouver Neighbourhood Food Networks, follow us on facebook and twitter. If you haven’t yet heard, Sustenance Festival is well on its way in Vancouver. Sustenance Festival is a city-wide food, art, and culture festival supported by dozens of community partners, the City of Vancouver, and the Vancouver Parks Board. This year, Sustenance Festival boasts over sixty events ranging from cooking workshops and food security talks to documentary screenings and art exhibits. Many of these events are free or low cost. Events take place at community centres, neighbourhood houses, and other spaces throughout the city. Fall is here and we’re celebrating the bounty of the harvest. Check out the free family-friendly celebrations happening throughout the Vancouver Neighbourhood Food Networks this autumn. Join the South Vancouver Food Network at their annual South Vancouver Harvest Festival on October 5th, 2018. They will be serving up delicious free food, you can press your own apple cider, have your face painted, and play games! If you like to bake, enter a homemade dessert in the dessert competition for a chance to win a prize! This year’s theme is apples. Riley Park Community Garden‘s Apple Festival is taking place on Saturday, October 20, 2018. This event will feature a multi-cultural lunch, apple tasting, and apple cider pressing. Bring a potluck dish featuring apples from your country to share! This event is supported by Little Mountain-Riley Park Neighbourhood Food Network and featured as part of Sustenance Festival. Celebrate the season with Kits House and Westside Food Collaborative! Kits House’s much anticipated 8th Annual Autumn Fair returns on Saturday October 27, 2018. This popular FREE community event brings in people of all ages together to meet their neighbours, have fun and celebrate the season! The Autumn Fair fills an entire block with street vendors, food trucks, carnival games, a pumpkin patch, local musicians, and a farmers market. You can step inside Kits House to check out live entertainment, a haunted house, a pancake breakfast, and our tea room! The event will also feature a variety of entertainment, including a fun and popular kids character, an interactive theatre, and improv with The Fictionals Comedy Co. This year, Village Vancouver is hosting their 2nd annual Westside Food Festival. While more than halfway through the festival, there are still dozens of activities to come from now until August 9. This festival takes place in locations throughout the westside of Vancouver: Fairview-False Creek, Marpole-Oakridge, Kitsilano, Kerrisdale, and West Point Grey. These workshops and activities are part of Village Vancouver’s ongoing Building Community Food Security and Resilience Project. Village Vancouver’s work “inspires individuals and organizations to take actions that build resilient and sustainable communities.” They operate as a knowledge and resource hub to bring people together over issues of social, environmental, and economic change. In case you missed it, check out the spectacular photos of the Wild Salmon Caravan parade from Saturday, October 7, 2017. Drumming, regalia, costumes, floats, signs, banners and more all express our love for, celebration of, and deep concern to protect Wild Salmon. Led by Salish Matriarchs, the parade started at the Native Friendship Centre and walked up Commercial Drive to Trout lake where a salmon ceremony was held at the lake then followed by an amazing salmon feast, speakers, and performances. This initiative was supported by our Vancouver Neighbourhood Food Networks, including Grandview Woodlands Food Connection, Cedar Cottage Food Network, and Little Mountain-Riley Park Food Network. All photos by Murray Rankin. Read the full blog post on the Grandview Woodlands Food Connection blog.